It is all about finding the right person. 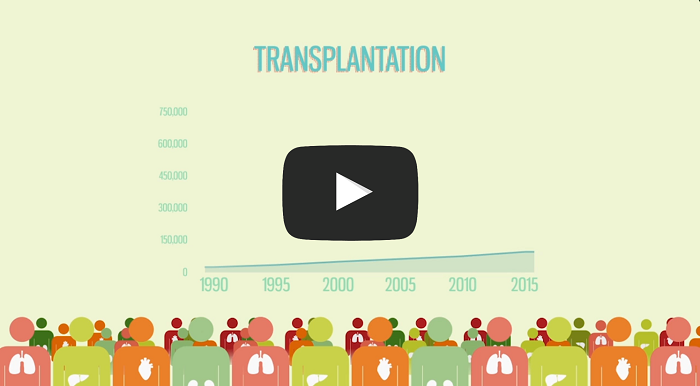 More than 20,000 organ transplants have been performed in Canada over the last 10 years and routinely extend lives. But sometimes the recipient’s immune system recognizes the new organ as foreign and rejects it, which can lead to serious complications. To find a good match for the recipients, medical teams have so far focused on a particular set of genes called the human leukocyte antigen (HLA) complex. But scientists strongly suspect that there are many undiscovered genomic incompatibilities that underpin organ rejection. Now, a large international team of transplant surgeons and scientists has come together to investigate the genetic factors behind transplant successes and failures. The project involves more than three dozen research institutions around the world, including the McGill University and Génome Québec Innovation Centre, and is called the International Genetics & Translational Research in Transplantation Network (iGeneTRAiN). Their efforts are detailed in a pair of papers published today in Genomic Medicine and in the journal Transplantation (available online soon); co-authors of the Transplantation paper include Jiannis Ragoussis, McGill University and Génome Québec Innovation Centre, and Chee L. Saw, from McGill University Health Centre. The consortium has grown rapidly in scale since its inception in 2012 and separate studies from its participating institutions around the globe – ongoing and completed – have already generated genomics and outcome data for over 32,000 organ donors and recipients.